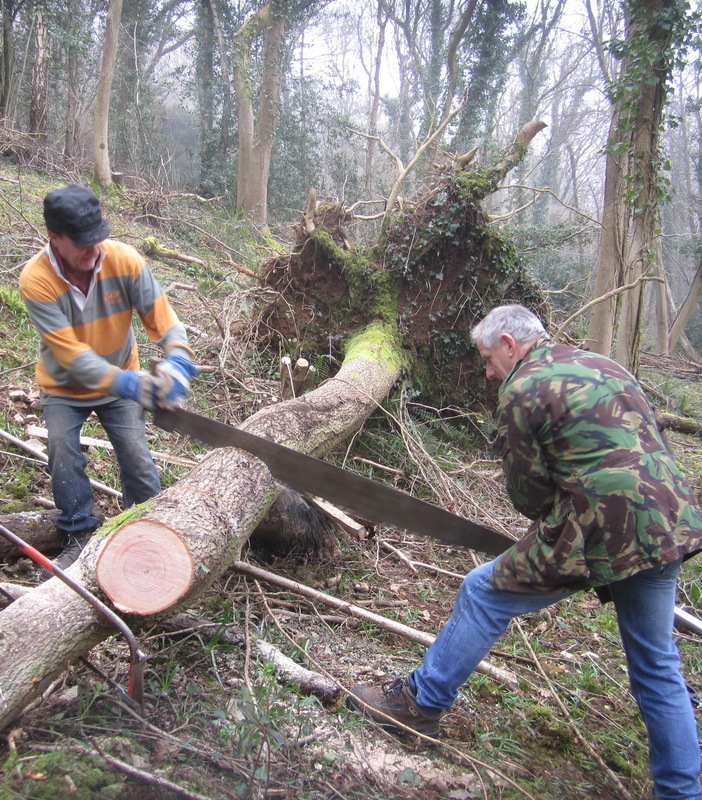 Clevedon Woodcutters for Wildlife, founded by conservationist and former Tree Warden Fred Quinney have, for over 20 years, helped to maintain wildlife habitats in Norton’s Wood on the Clevedon Court estate through annual coppicing and thinning of trees. In 2000 they laid out the Millennium Orchard (now called the Community Orchard) off Brookfield Walk and two years later planted 2,500 native trees and shrubs to create a new piece of woodland, now successfully established and named Quinney’s Wood after their founder, between the Blind Yeo river and Davis Lane. They have worked with the Friends of Poets’ Walk to construct and maintain a woodland path and in felling and coppicing trees, and have assisted North Somerset Council and the MARLENS in work at Clevedon’s Marine Lake. Volunteers with Woodcutters for Wildlife can enjoy an all-year-round variety of practical, outdoor tasks including coppicing and general clearance in both mature and young woodland, tree planting, hedge-laying and orchard care. All necessary instruction, hand tools and insurance cover are provided. Working parties are held every Wednesday morning 9.30 – 12.30 at various venues in Clevedon. To see examples of the work we do go to our monthly diary.